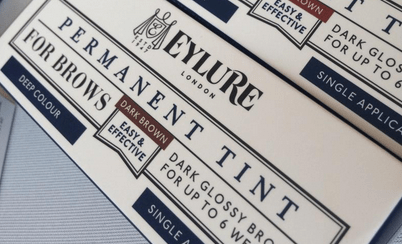 The name Eylure might ring a bell to some of you, as it is widely known for it’s range of falsh lashes. 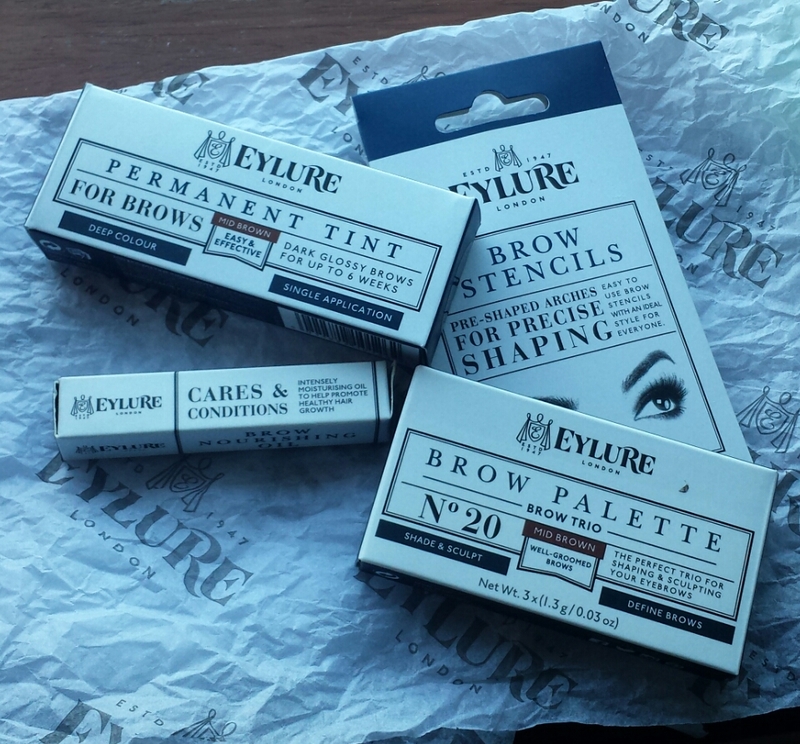 Now, Eylure has released a full line of eyebrow products to add to it; from eyebrow stencils for beginners to permanent eyebrow tint for the more confident gals, the Eylure eyebrow revolution has something for pretty much every lady! 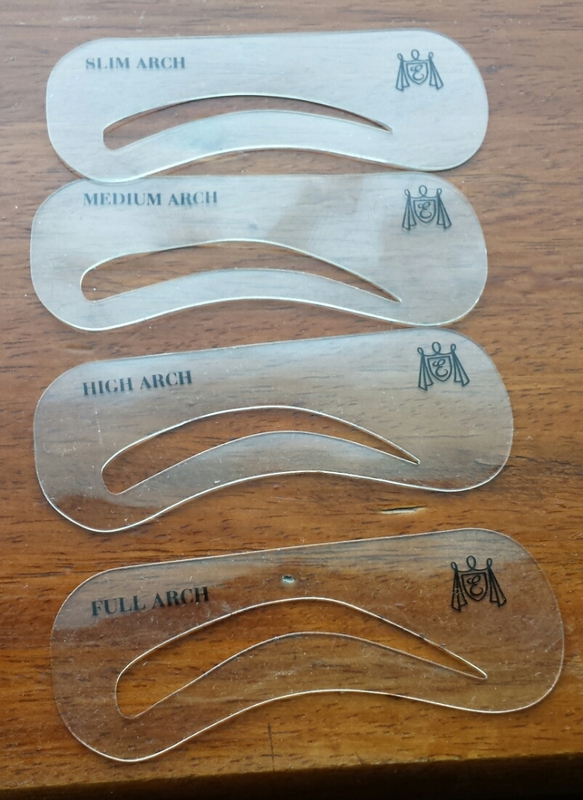 I think these stencils are a clever little tool for those who don’t know much about shaping their brows – especially since you have the option of four different arches; full, high, medium and slim. I didn’t find the stencils very useful because I have my own way of shaping my brows, so these brow templates weren’t very useful for me. However, I do think they’d be something makeup newbies would love! 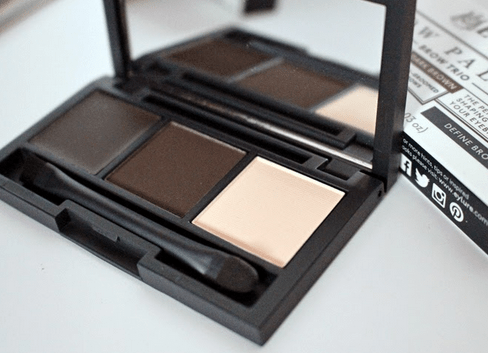 This brow palette has become my holy grail product, I find it hard to go anywhere without it! It has the perfect combo for shaping your brows on the go and it also comes with a compact mirror – which I hardly use – because it’s a little TOO honest for my liking! 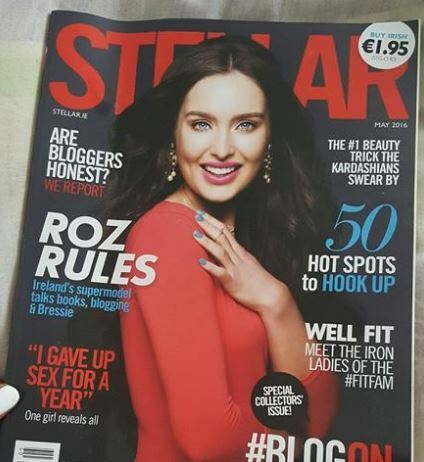 Other than that, this product is definitely a winner! You can get it in three different shades; blonde, mid brown and the shade I have, dark brown. It also comes with an angled brush that has a sponge applicator at the other end – a free brush is always a plus! Sculpt: use the angled brush to apply the firm wax hold and shape the brow. Colour: fill in with the pigmented brow powder. Define: sweep a bit of matte highlighter under the arch for further definition. I haven’t used this product as much as I would have liked to. I started off great (used it every night for 2 weeks) and then once I started to see results, I might have gotten a bit lazy…. I think if I hadn’t stopped and used it every night without fail, I probably would have gotten better results. After all, this oil has a blend of rosemary, sweet almond and argan oil – the three miracle ingredients for nourishing and growing eyebrows! 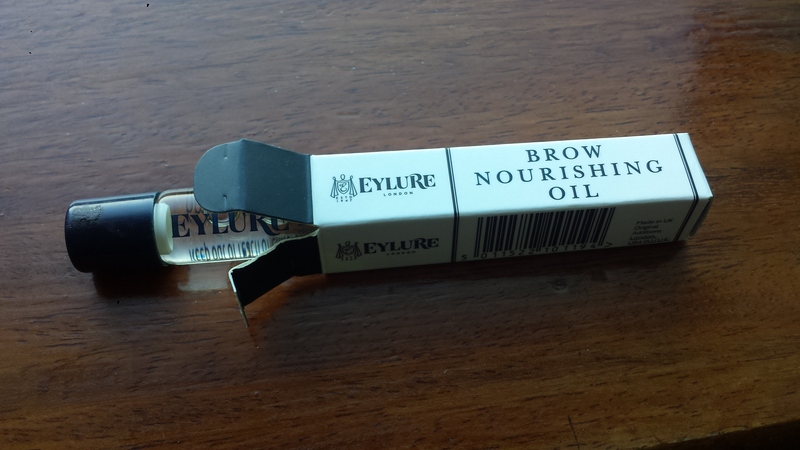 This product made my brows slightly darker than usual. It’s a very subtle change, as you can see from the pictures,but I do think the subtlety is good since it works even better with the other Eylure products! It comes with two little sachets and you just mix the contents together and apply it on your brows. Leave it on for 3 minutes and them remove with a damp cotton pad. 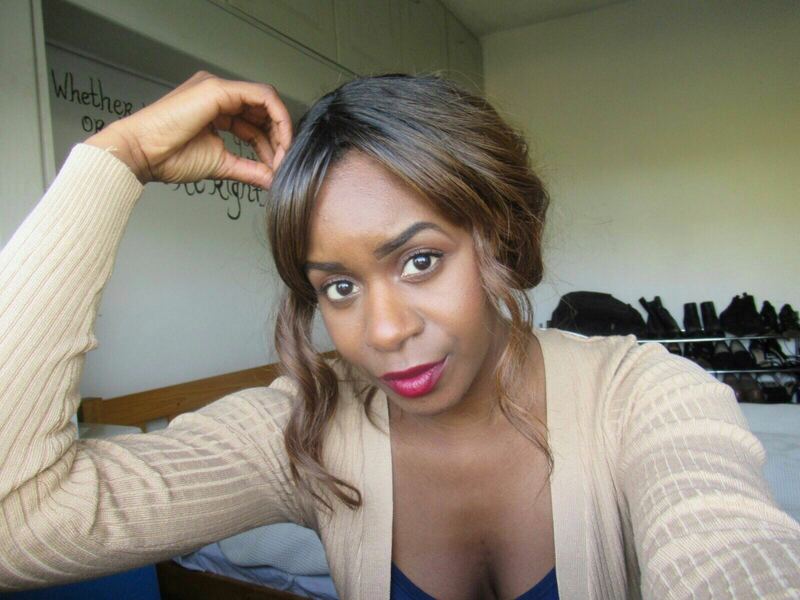 Bobbi Brown, Extreme Party Mascara or Rimmel, Scandel Eyes?